Nigerian forces raided the UN's compound in Maiduguri, the epicenter of a conflict with Islamist group Boko Haram. The search could hurt the already fragile relationship between the military and the world body. The Nigerian military conducted what the UN called an unauthorized search of its main operating base in the country's northeast in the early hours of Friday. "Members of the Nigerian security forces entered a United Nations base for humanitarian workers in Maiduguri ... without authorization," said Samantha Newport, a spokeswoman for the UN Office for the Coordination of Humanitarian Affairs. "The United Nations is extremely concerned that these actions could be detrimental to the delivery of lifesaving aid to the millions of vulnerable people in the northeast of Nigeria." The objective of the search was not immediately known but an internal UN memo seen by AFP news agency suggested that the Nigerian forces might have been searching for Boko Haram leader, Abubakar Shekau. The raids followed rumors that the Boko Haram chief was hiding in the compound known as the "Red Roof." "Information about Shekau's presence in the Red Roof was already being spread yesterday on social media," said the document, that AFP said was apparently issued by the UN's Department of Safety. The memo ordered the UN staff in Maiduguri to work from home, fearing demonstrations against the organization and other foreign groups active in the area. A UN source told AFP that such searches are illegal under international law and risk raising suspicions about the organization's work. 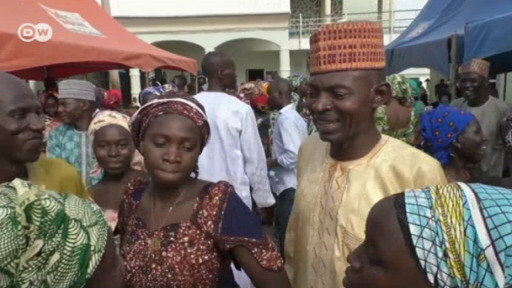 Nigeria's theater commander for the conflict with Boko Haram, Ibrahim Attahiru, told Reuters news agency he did not know the reason for the raid on the UN compound. The almost decade-old insurgency led by the jihadists has driven at least 2 million people from their homes and left almost 7 million in need humanitarian assistance.